Welcome to Berry Freeze! 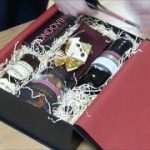 We offer a range of Christmas gift hampers, wine hampers and gift baskets the likes of which you simply won’t find anywhere else – and all of which are as affordable as they are expertly crafted. Our team have been offering hamper making services for years and recently we upgraded our facility to be able to incorporate digital ordering options – for our clients that have gotten so used to visiting our physical store to have their baskets put together by our experts. In the past six months we’ve expanded to encompass global delivery services and as our business has grown, we’ve been able to lower our prices even further! 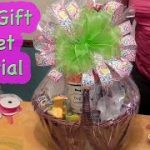 When choosing our professional gift creation services, you’ll be in charge of the packaging and preparation from the ground up, and this is something that separates us from our competitors. Whether you want to give our friendly team a call to place an order, or if you’d prefer to use our quick and easy online ordering process – you will be excited to learn that from the size of the hamper, right through to its colour scheme and even the products that you’d like included; everything can be personalised. Whether you were hoping to have a stylish hamper put together in time for Christmas, or if you have any number of celebrations to take part in throughout the year; you can order any time day or night and we promise to package and dispatch your order within 48 hours – including on weekends! We use reliable delivery services wherever you might be in Australia, or around the world for that matter, and every package that we send is insured and will feature a tracking number for you to monitor its progress. Where we really shine is in our hamper making services; a world-class option that prioritises satisfaction and customisation above all else. Whether you’re hoping to order for an older relative or a new born baby; we can promise to provide a variety of goodies and components to choose from. You won’t ever have to worry about going over budget, as we neatly categorise our hampers to reflect different values. We do the same for the contents that can be included whenever you have an order personalised, so if you have a spending limit in mind – you won’t have to worry about going over it. Our friendly team are on hand seven days a week, from 9am until 6pm (except for Sundays where we operate between 10am and 2pm), so if you’d like to place an order, or to make an enquiry – we are very easy to get hold of, so please don’t hesitate to do so.